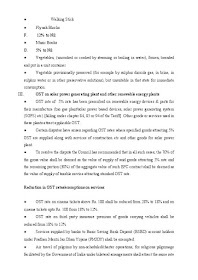 GST Council Meeting Today: GST Sets Rates From 28 Per Cent To 5 Per Cent On Most Items, Replacing An Array Of Central And State Duties. The Goods and Services Tax (GST) Council on Saturday slashed rates on 23 items such as televisions and movie tickets while keeping tax rate on cement and auto parts unchanged. 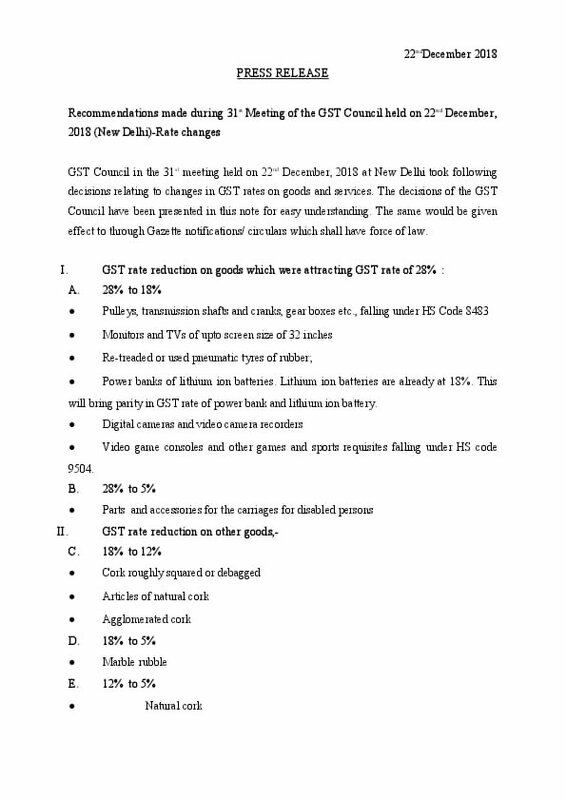 Additionally, the Council proposed to cut GST rates on six of the items from 28 percent to 18 percent. 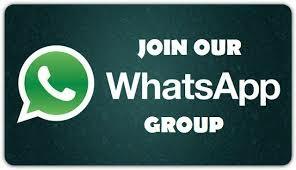 Retreated Tyres, video games and sporting equipment, movie tickets, billiards and snookers and lithium battery power banks will attract 18 percent GST. There were 34 items in the 28 per cent tax bracket which included luxury and 'sin goods' till now. 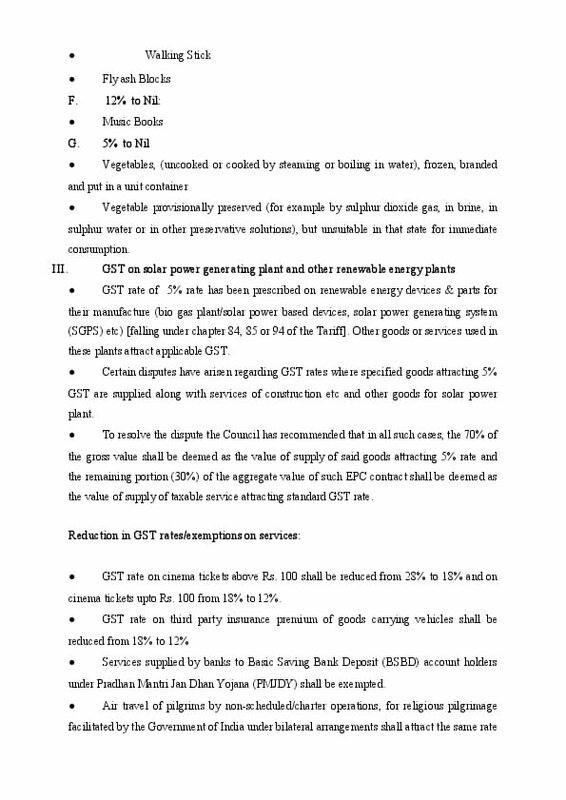 However, the GST Council in its meeting on Saturday decided to take out 6 items from this list. Today's GST rate reduction will have an overall impact on revenue of Rs 5500 crore, said Jaitley. 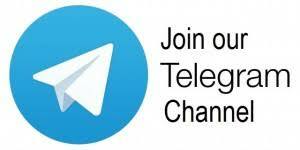 Finance Minister, Arun Jaitley said that the recommendations by the fitment panel have been considered in today's meet. * Air conditioners, dishwashers largely used by upper segment of society, left at 28%. * GST for cinema tickets less than Rs 100 reduced from 18% to 12%, for tickets above than Rs 100, GST reduced from 28% to 18%. 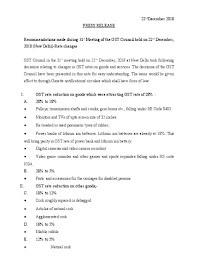 * The council rationalised the 28 per cent slab by bringing down the tax rate on seven items in the highest tax bracket, thereby leaving only 28 items ..
* New return filing system will be started on trial basis from April 1, to be implemented mandatorily by July 1. Due date for GST Annual Return and Audit Report extended till 30th June 2019.